In a plot twist worthy of a Hollywood blockbuster, Marvel filmmakers Joe and Anthony Russo have signed on to join forces with the Daniels – the creative duo behind 2016’s Swiss Army Man. 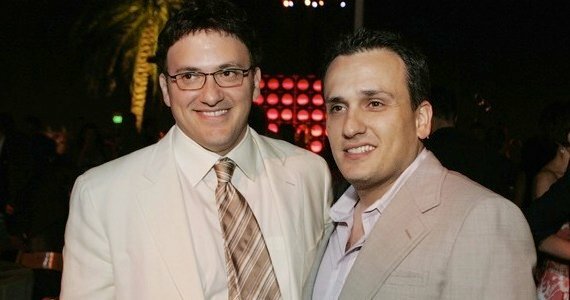 Daniel Scheinert and Daniel Kwan will deliver a science fiction movie, which represents the first major film deal for the Russo Brothers and their fledgling production company. The film currently remains untitled, but will be written, directed, and co-produced by the Daniels. As such, it is expected to feature their very specific, now legendary brand of comedy and drama. Swiss Army Man was their first feature length theatrical film, and quickly stirred up interest on the film festival circuit, with its unusual tale of a man’s bond with a flatulent corpse. The story of loneliness, obsession and connection was striking enough to attract the talents of Paul Dano, Daniel Radcliffe and Mary Elizabeth Winstead to the cast – and it’s expected that this latest venture will draw comparable interest from equally exciting performers. This film deal represents an interesting move on the part of the Russo Brothers, who are currently firmly ensconced in comic book movie territory, making Avengers: Infinity War. As directors, they’re also committed to helm the sequel to that film, due for release in 2019. But this acquisition as producers suggests a concerted effort to keep their hand in on more independent film projects, in addition to their giant, tentpole superhero movies. This is good to see, as the creative pair cut their teeth on fan favourite TV (Arrested Development, Carpoolers, Running Wilde, and Community), and smaller films (Welcome To Collinwood). The commitment the Russo Brothers have made to this new science fiction film from the Daniels will hopefully preface a return to independent filmmaking for the popular pair, once they hang up their Marvel capes. Until then, it will be intriguing to see what this upcoming science fiction movie will involve.